Why NHL in Vegas is a low-stakes gamble—but is it most deserving? The National Hockey League has kept their cards close to their chest in terms of when and where the next expansion franchise—if there is one—will be. As far as competition goes, Las Vegas and Quebec City are the two frontrunners, being the only two cities to submit their $10 million application fee. While eyes are on the prize, both of those cities have things working against them when it comes to adopting a NHL franchise. Las Vegas, known for its sultry heat and abundant amount of entertainment, may seem like a bizarre place to watch hockey. In addition, having never been home to a major sports team, Las Vegas doesn’t inspire a lot of confidence. Bets are on for whether such a venture would be successful or not. We would hate to see it become another inescapable desert disappointment, (cough cough) Phoenix, I mean, Arizona. All I can say is that the heat will not be what harms their chances; it will be the fan base. At the moment, Hockey Vision Las Vegas, an organization seeking committed hockey fans to buy tickets, is aiming to convince the league that there is a strong desire for hockey. I believe there is a fan base in Vegas, but not necessarily from the locals. Las Vegas is a vacation hotspot with 40 million people visiting in 2014—many of whom came during the winter season, i.e., hockey season. This is a perfect opportunity to lure in spectators who would not have an opportunity to see hockey otherwise. I know that Vancouver fans will happily drop $500 for flights and an all-inclusive trip to Vegas to see a Canucks away game against the Las Vegas team. But would those living in the Sin City bother seeing their own team? The fact is that any Canadian hockey fans would be excited to see their team in Vegas, but if that’s the case, why not have the expansion take place closer to home? 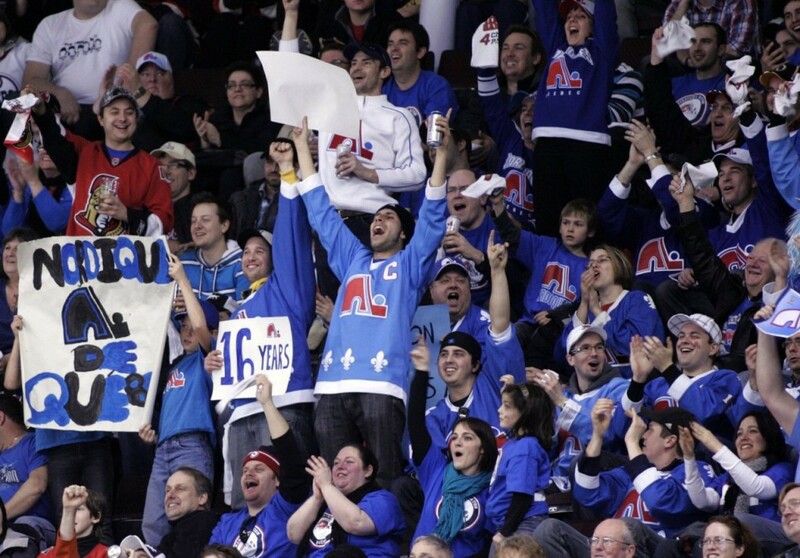 Seeing Winnipeg get a team back in 2011 must have given Quebec City a lot of hope. The reason they lost the Nordiques in 1995 to Colorado was because their facilities could not match the new NHL standards. That’s all changed now; the Videotron Centre gives the city some legs to stand on when trying to earn the NHL’s attention. It’s designed with hockey as its sole purpose. With that being the case, it’s just a matter of time before hockey returns to French Canada. However, Quebec could get a franchise again via a different route: the Carolina Hurricanes have been rumoured to be on the move. This means the former Hartford Whalers franchise could possibly move north of the border… wouldn’t that be nice? Las Vegas and Quebec City are as different as cities come, but for hockey, I believe these two places are apt choices. Nevertheless, I hate seeing so many NHL franchises concentrated on the East Coast. We are due for a couple of purely western teams. For selfish reasons, I would rather see an expansion team in Seattle or Portland before a team in Quebec City. One thing lacking for Vancouver fans is an opportunity to go on road trips to see our regional rivals. If Seattle can make a push when the next expansion round comes around, that would be exciting news. But for now we’ll take what we can get, and be happy we don’t live in Atlanta.